Let us suppose this: the history of cinema is the history of certain states of the human body. Of this filmed body, i.e. unlike any other. The publicity photo – of the type that the big Hollywood majors took the trouble of making as a separate thing – speaks of the genealogy of this body (it is neither a sample nor a duplicate, but like an instant theory of the whole figurative system). In its mode of display, one can best read the way its origin was delirious. For where does this body come from? 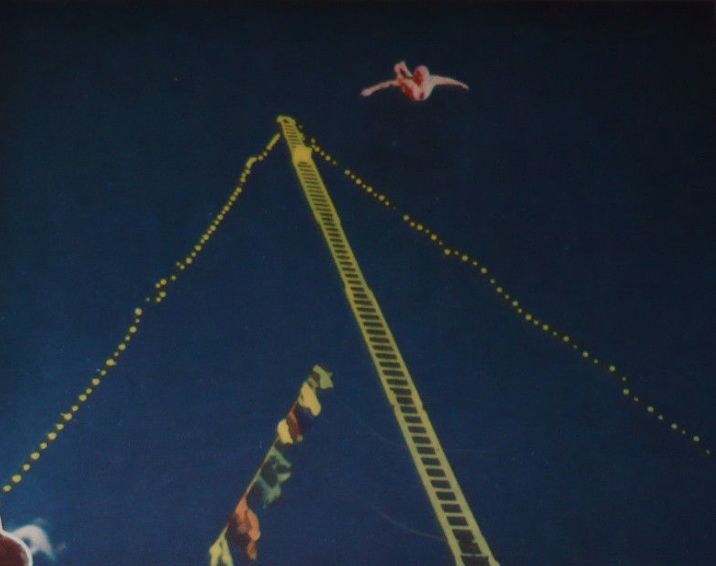 It gradually freed itself from the bottom of the nitrate image where it was palpitating (the burlesque, popular operation on the left: Harry Langdon) to congeal at the front of the acetate stage (the serious, bourgeois operation on the right: Rope by Alfred Hitchcock), like an answer to the children’s game where one starts by asking: animal or mineral? And between these two reigns, nothing. Or, rather, a genocide. Behind the too neutral, smooth wall of Rope is all that had to be forgotten (left in the background of the image and walled off from our gaze) for the body of the star (here Farley Granger, James Stewart, John Dall) to emerge – indisputably. Yes, but in what a state! Clothed bodies, faces chosen for their capacity as reflectors: every hair, every lash, reflecting light! Whereas in front of Langdon’s wall, it’s something altogether different: something is left of the primitive indistinction between the figure and the background, between the body and its shadow. And what emerges is not the image cleansed of all suspicion, the Hitchcockian image, but a reply which is uncertain, parodic, beside the point, in a word: carnivalesque. Between top and bottom, human beast and domestic animal, shadow and light, fur and frock, Langdon hasn’t chosen yet: he’s gaining time. 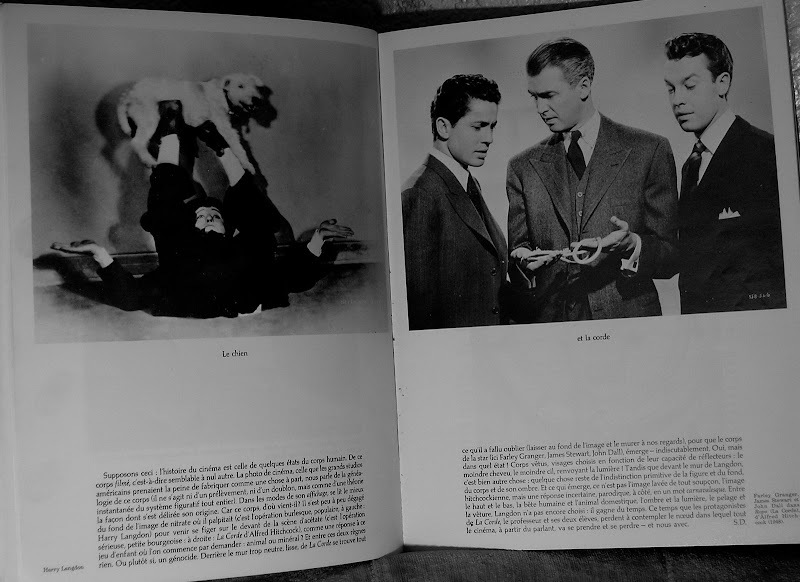 The time that the protagonists of Rope, the professor and his two students, lose by contemplating the knot in which all of cinema, since the talkies, is going to become entangled (se prendre) and lose itself (se perdre) – and us with it. Thanks to Bill K. and Laurent K.